Hilo, Hawaii—Zonta Club of Hilo awarded three scholarship winners for the 2011-2012 academic year to three well deserving women in the Hilo community. 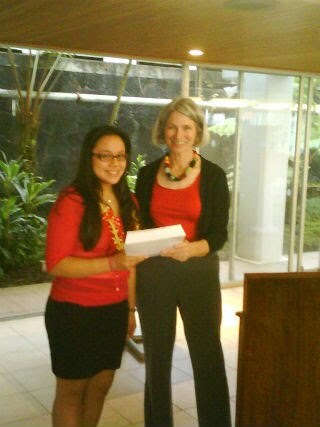 The $1000 Nursing Scholarship winner is Princess Monterey a 2nd semester nursing student at Hawaii Community College. One of her HCC instructors praised her as an exceptionally bright student who has strong work ethic, and has a gentle, compassionate way of working with people who under stress from health care issues. 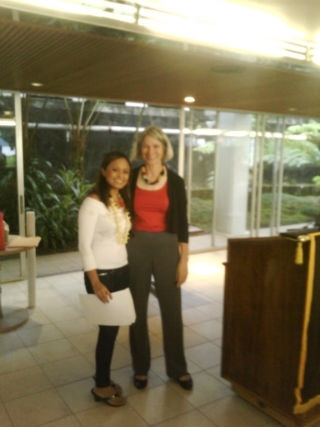 Our Young Women in Public Affairs winner of the $500 award is Megan Cabison, a recent graduate of Hilo High School. Megan has displayed extensive, responsible and creative leadership abilities through the DECA program and Key Club. Megan averaged more than 400 hours of community service during her 4 years of high school. She served as this year State DECA President, through this program she learned about networking, presentation and communication skills. She has been a National Honor Society member for three years, and was the student representative on the EnVison Downtown Hilo, a restoration project.